There are people who will tell you that a table saw should be one of the first tools to purchase if you’re an aspiring carpenter or woodworker. This is true since a table saw’s cutting capacities allow for a wide range of different jobs. One of their main benefits is cutting large boards down to size since their massive tables can support the length and weight of hefty boards. However, one thing that people probably won’t tell you is that lugging around huge boards can be a problem. A table saw is a stationary unit that requires you to bring the materials to the blade. This means lifting and carrying boards to the tool – something that can be avoided if you have a circular saw. A circular saw is actually a blanket term that covers all types of power saws that utilize a circular blade that’s mainly used in woodworking. 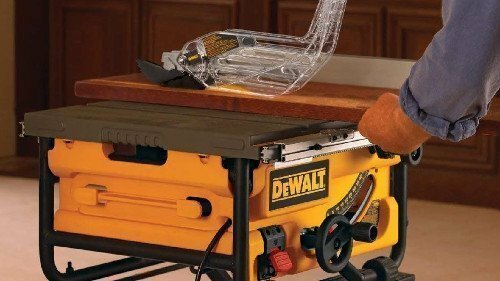 However, the tool that people actually mean when they say circular saw is a handheld circular saw which we will discuss in this article. We are also going to use the moniker “circular saw” for simplicity’s sake. A circular saw is a handheld power saw that is compact, lightweight, and extremely easy to use. The only component that needs to be adjusted prior to making contact with your workpiece is the blade (depth and bevel). There’s absolutely no reason why you shouldn’t have a circular saw if you’re into carpentry and woodworking. If you’re dealing with large, thick boards, then a circular saw would come in handy in tearing it down to size wherever it sits. This section will talk about what features are commonly found in a traditional circular saw. 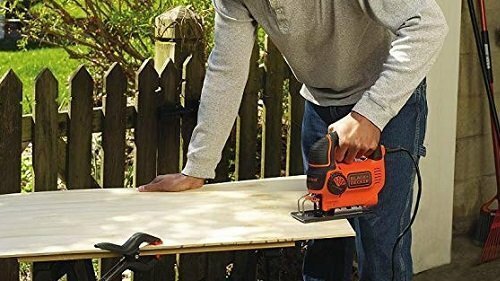 There are those who prefer using cordless tools for their portability, and there are people who prefer the uninterrupted power of corded-electric tools. 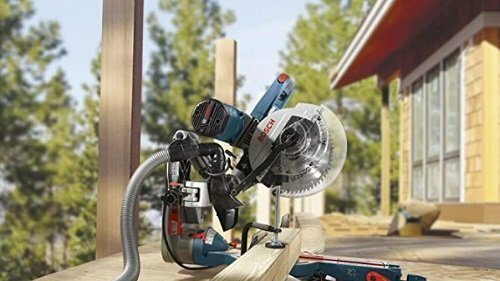 Circular saws can come as either corded or cordless models so if you prefer one over the other; there’s a circular saw for you. Most circular saw models come with a carbide-tipped blade. This is a general-purpose wood-cutting blade that new users won’t feel the need to replace. To get the cleanest cuts with your circular saw and reduce sanding, you should pick up a blade with more teeth per inch. Even though a carbide-tipped blade may be the only blade you’ll ever need, there are several other blades for special-purpose cutting. 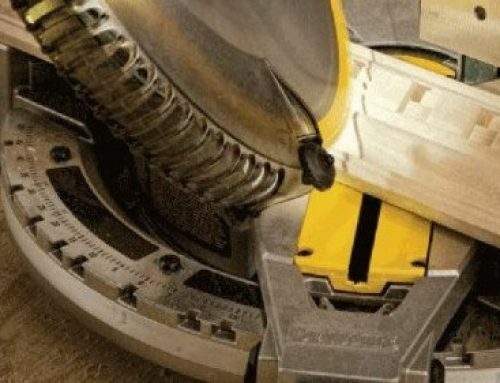 Depending on your circular saw, you will be able to swap the carbide blade out for metal-, tile- and concrete-cutting blades. Circular saws fall into different categories based on the diameter of their blades. The circular saw’s blade can be as tiny as 3-3/2 inches and as large as 7-1/2 inches. The two most commonly found sizes are 5-1/2- and 7-1/2-inch circular saws. Obviously, a larger blade means a deeper cutting capacity. 7-1/2-inch circular saws can cut through materials as thick as 3 inches in a single pass. 5-1/2-inch circular saws produce significantly shallower cuts – around 2 inches. If you’re planning on picking up a circular saw, you need to decide beforehand the typical thickness of workpieces you plan on using. A circular saw’s blade can be adjusted to tilt to the right. This allows users to make angled cuts inside of the wood in preparation for connecting joints at almost any angle. Most circular saw blades are designed to bevel up to 45°, but there are others that can tilt up to 56°. 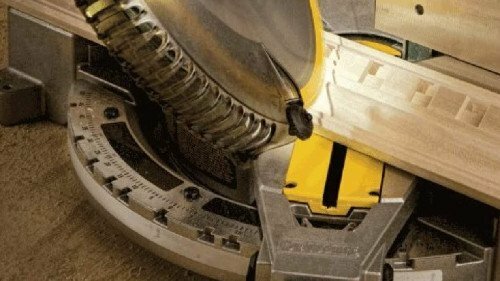 If you’re still unconvinced that a circular saw can be a valuable addition to your collection of power tools, maybe this section will change your mind. We’re going to talk briefly about what a circular saw can do with the right blade and adjustments. 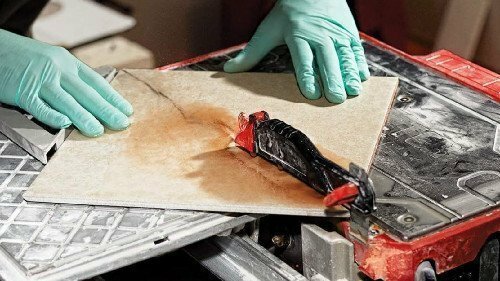 We mentioned at the beginning of this article that a table saw’s design doesn’t allow you to bring the tool to the material. Imagine lugging around a contractor table saw to where the material is located… Ridiculous, right? A circular saw, on the other hand, due to its compact size and lightweight design, is meant to be brought to your workpiece. 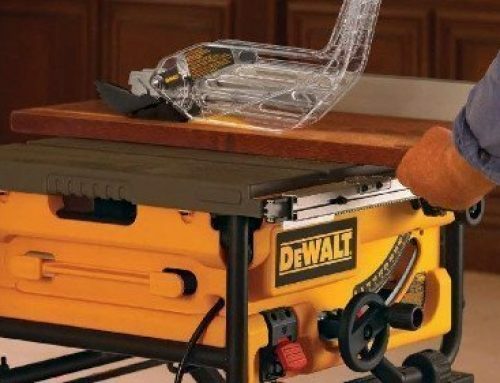 No more dragging around large boards for dimensioning; instead, take your circular saw to where it’s needed and get chop that workpiece down to size. Crosscutting, or cutting against the grain of the workpiece, is extremely easy to do. Simply align the circular saw’s rail to the board after making the correct measurements and bring the blade forward across the piece’s surface. Ripping – cutting with the grain – is also easy to do. With the saw’s shoe or rail in place, you can drag the circular saw across the long edge of your board. 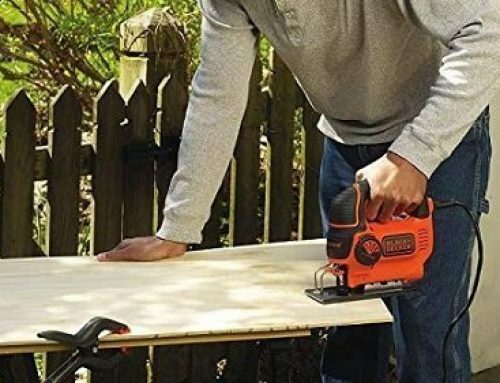 Just be sure to apply enough pressure against the edge of the board’s edge to prevent the circular saw from going off track. A circular saw can do many of the things that a table saw, and miter saw can do, including making angled cuts. Once again, the circular saw replaces what your table saw, or miter saw are meant to do. Better yet, if you want to cut on two planes, just set the bevel of the blade and run the circular saw across the board at an angle. 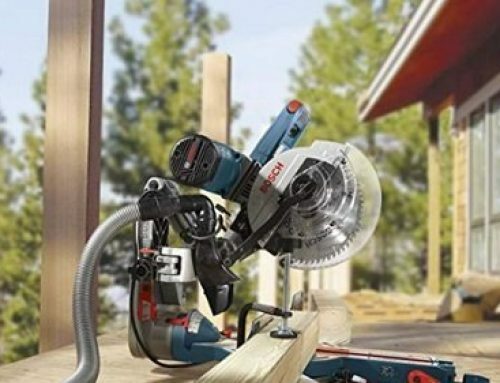 A circular saw, with the right type of blade, can handle all sorts of materials imaginable. 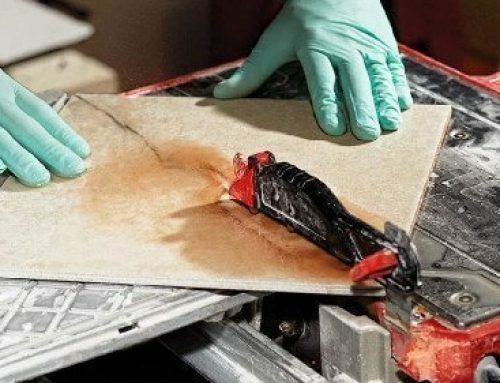 If you need to shave some material off a brick for a flush finish, use your circular saw with a concrete-cutting blade. Plastic tubing too long? Circular saw. Need to chop steel conduits? Once again, skip the metal-cutting miter saw – a separate tool from the classic miter saw – and use your circular saw with a metal-cutting blade installed. Basically, the circular saw can replace many of the functions that a table saw, and miter saw are designed to do. Furthermore, it does it without costing you an arm and a leg (and probably fingers and toes on your other limbs). The circular saw is an inexpensive, compact, portable tool that’s easy to use to make straight cuts, both across and with the grain. Even metalworkers can find value out of a circular saw equipped with the appropriate type of blade.